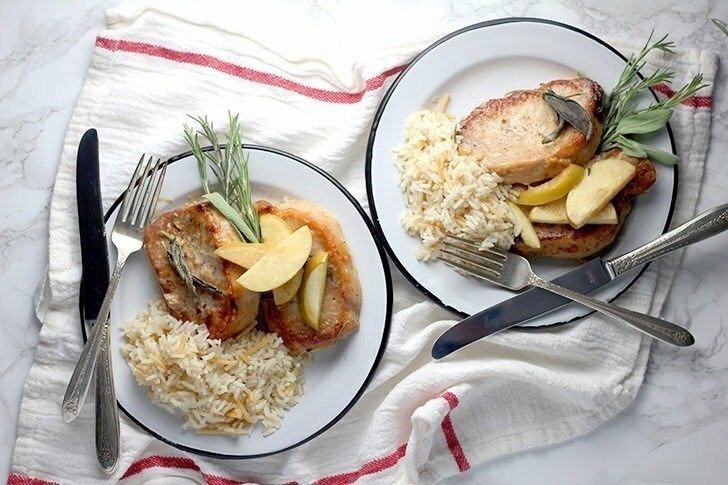 These pork chops are lightly breaded and finished off with sauteed apples, onions and a creamy sage sauce. 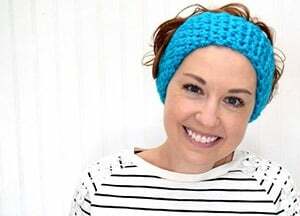 It is seriously AMAZING!!! As an adult I’ve made the same recipes that my Mimmie cooked for us and I love them all. I also have a very creative attitude when it comes to the kitchen so I have a tendency to try and mix things up a bit here and there from the bases of the recipes I’ve grown up eating. 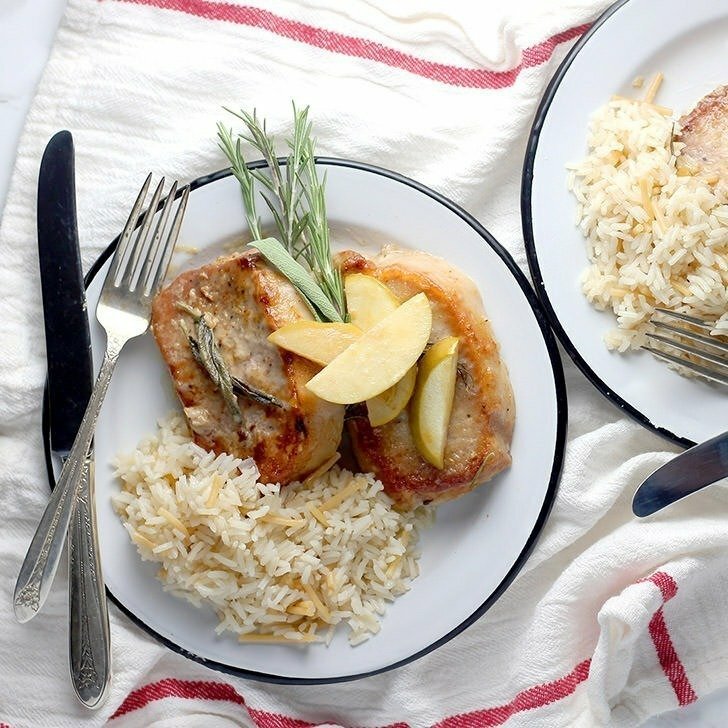 For this recipe pork chops are lightly dusted and browned in a pan, a bit healthier than the usual deep fry. It’s served with a cream sauce, very similar to gravy, and is heavy with rubbed sage, a flavor that is strongly tied to my Mimmie’s cornbread stuffing recipe. 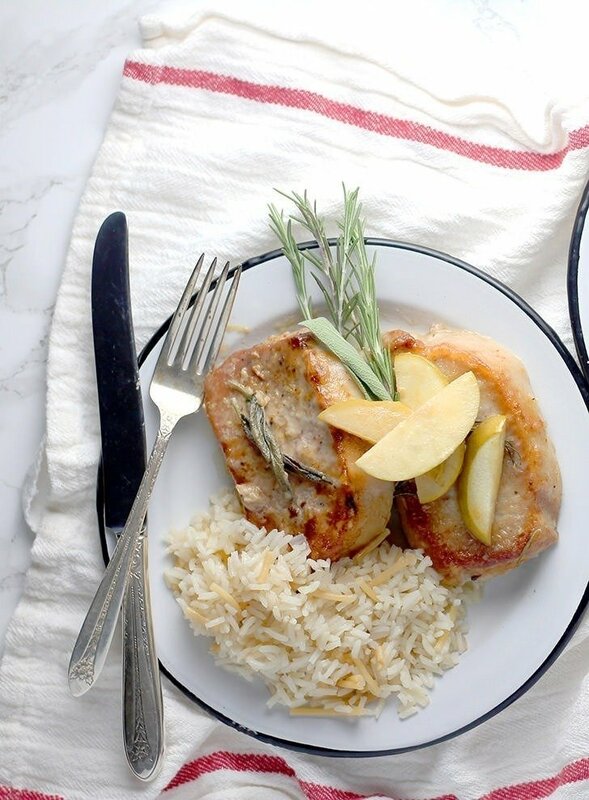 The apples came about because I wanted to try “pork chops and applesauce” as I heard on TV a million times. 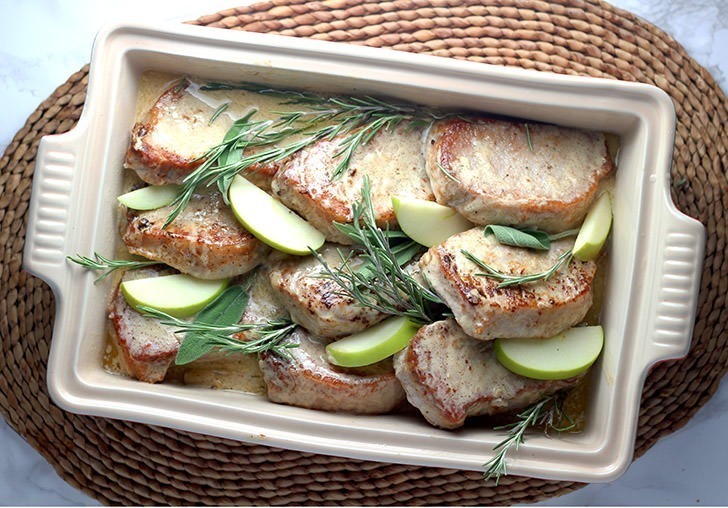 It turns out it’s something I really dig… apples pair perfectly with pork! I know I tend to share my more sweet creations with you but I’m going to try to reach into my savory recipe box more often, too! This is one of my fave recipes right now and Rob is a huge fan. Seriously. Dude loves this business like crazy. Let’s get onto it! While not the quickest recipe you’ll ever make for your family this one is sure to be one of the tastiest! This great dish can have most of the prep work done well in advance, just popping the prepared dish from the refrigerator into a cold oven allowing the glass to heat with the oven and not crack. flour or cornstarch for dusting + 1 T.
Lightly powder chops and brown in a skillet. I use a tiny amount of olive oil but use what you’re used to. Set browned chops aside. Saute onion and apples together until apples are fork tender. Remove from pan and spread on the bottom of a large glass pan. Layer chops neatly on top. To make a thickener, mix 1 T. of cornstarch or flour with a small amount of water and set aside. Add chicken broth to the hot pan and stir to remove all of the good stuff off of the bottom of the pan and let the broth get hot. Add cream, white wine, sage, and thickener to the pan and over medium heat allow to bubble. Turn down heat and allow to thicken slightly. Pour over chops and place sprigs of rosemary on top. Bake at 350° until the chops are warmed through and the sauce begins bubbling once again. Straight from the fridge, I tend to give it 20-30 minutes after preheating and 10 minutes straight from the stove. Allow the dish to sit about 5 minutes, or until the sauce has thickened and enjoy!